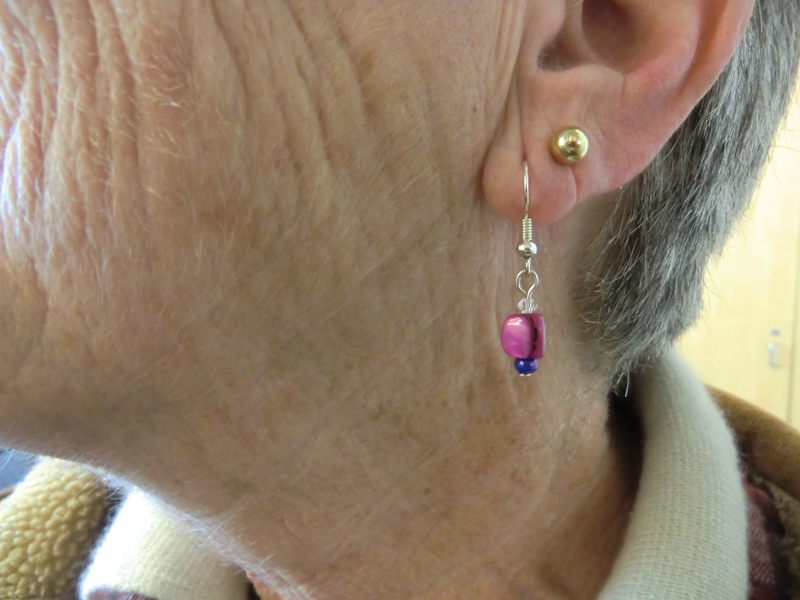 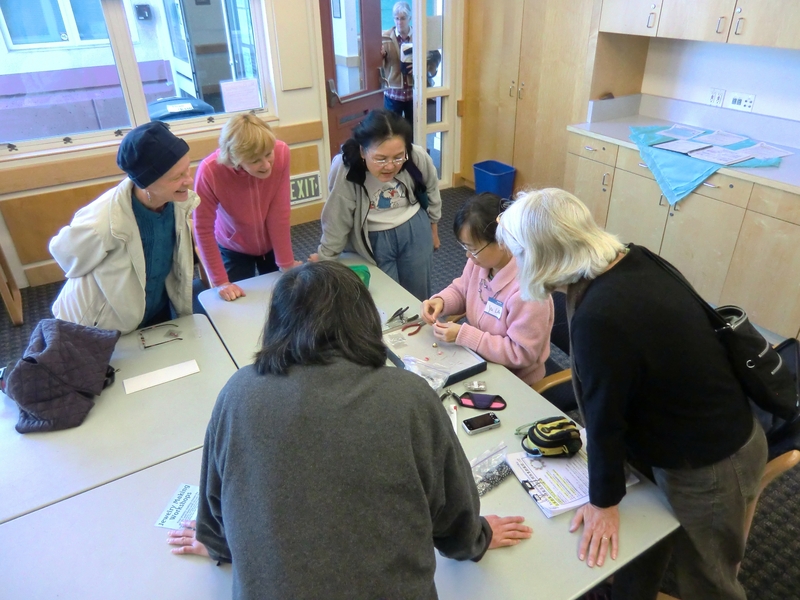 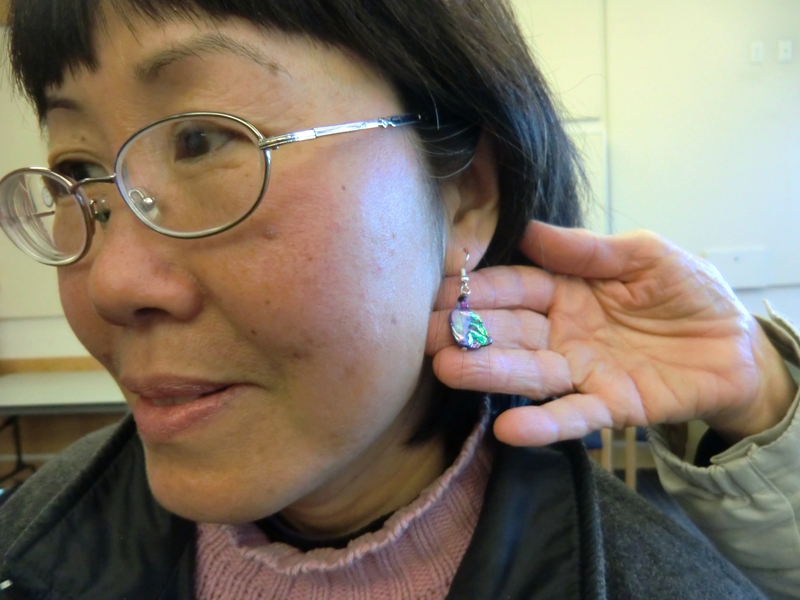 The adult jewelry-making workshop modeled their creations last Wednesday afternoon. 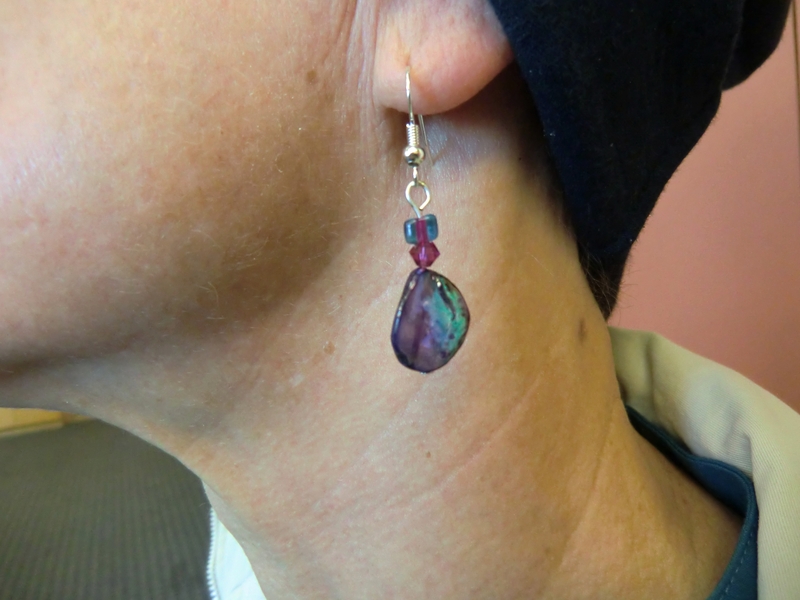 The colors of the stones looked especially nice in the bright sunlight of the meeting room. 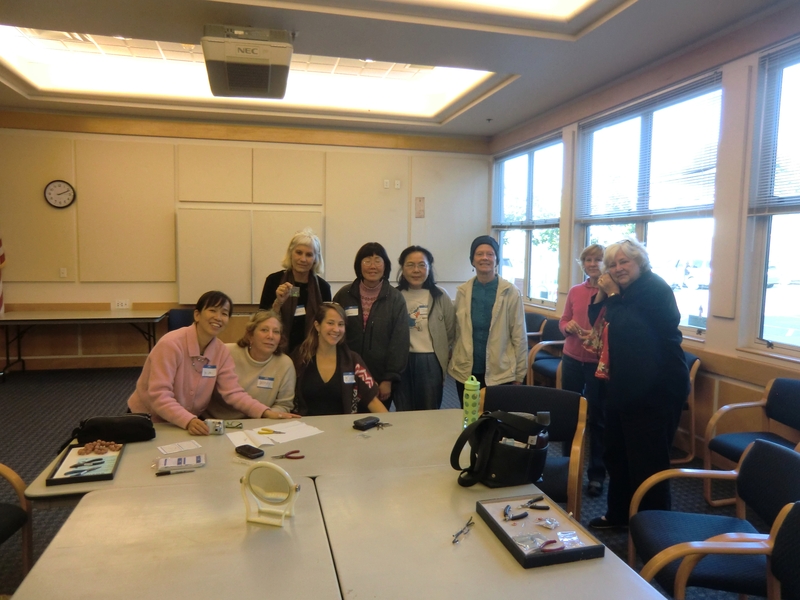 Yu Lan will lead more workshops in the coming year.